WASHINGTON — Moving beyond "Obamacare," political activists are looking to state ballot questions to refocus the nation's long-running debate over government's role in health care. This fall, California voters will decide whether to lower some prescription drug prices, while Coloradans will vote on a state version of a "single-payer" government-run health system, similar to what Vermont Sen. Bernie Sanders proposed in his unsuccessful bid for the Democratic presidential nomination. "We are in the process of building a new organization to keep a lot of the energy going," he said. "Backing those kinds of ballot initiatives is one of the major things that we are focusing on." A proposal in Ohio to limit drug costs didn't make it on the ballot this year, but proponents are pushing for a vote in 2017. California's Proposition 61 would bar drug companies from charging state programs more than the discounted price paid by the U.S. Department of Veterans Affairs. Opponents of the California initiative have reported $69.6 million in contributions, mainly from pharmaceutical companies. That's more than seven times the $9.4 million that supporters have raised. Those amounts guarantee national visibility for the battle. Opponents have raised $3.6 million, more than five times the $678,000 reported by supporters. The nation's second-largest insurer, Anthem, donated $1 million to the opposition. As envisioned, Colorado's new public health care system would be paid for with tax increases and with federal and state money that now goes to programs such as Medicaid, and for subsidized insurance under President Barack Obama's health care law. Federal approval would be needed under a provision of the Obama law that takes effect next year, allowing states to redesign their health care systems. A recent nonpartisan study projected that as currently structured, ColoradoCare would post a small deficit starting in its first year and the shortfall would keep growing. With the presidential campaign consumed by questions about the candidates' character and temperament, the traditional debate over issues has been downplayed. Republican Donald Trump has pledged to repeal Obama's health care law, while Democrat Hillary Clinton would build on it. The California and Colorado initiatives steer the conversation away from the highly scripted back-and-forth on "Obamacare." The two proposals are strikingly different, said John McDonough, a former U.S. Senate Democratic aide who worked on the federal health overhaul. The Colorado plan seeks a total transformation of the health care system, while the California initiative reflects concerns about the rising cost of many medications. Which ballot question has a better chance? "Of the two, I probably think the prescription drug piece, because people have so much anger and antipathy toward the pharmaceutical industry," said McDonough, now a professor at the Harvard T.H. Chan School of Public Health. 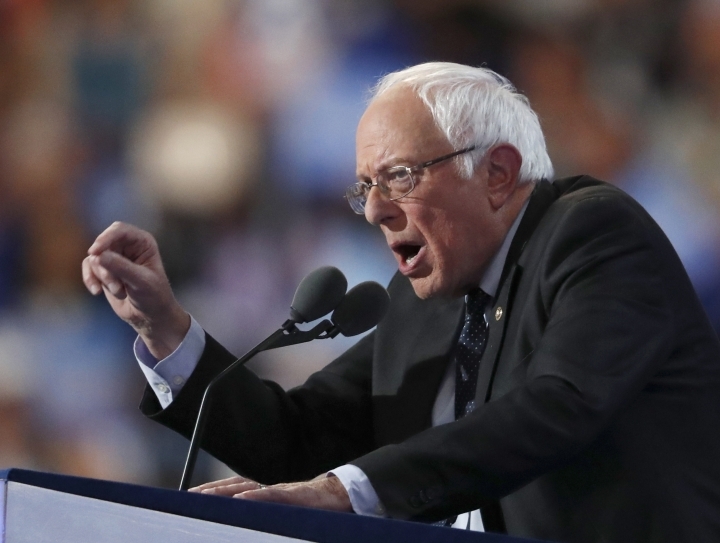 Both proposals face strong business opposition, but that does not worry the Sanders' camp. "He's been involved in longshot campaigns for most of his career," said spokesman Briggs. Associated Press writers Kristen Wyatt in Denver, Juliet Williams in Sacramento and Ann Sanner in Columbus, Ohio, contributed to this story.